When your new Honda Accord is due for an oil change or new oil filter, come to Vatland Honda. At our competing new and used car dealership in Vero Beach, FL, we car change your used motor oil and filter the best. Our team of skilled service technicians is factory trained and ASE and Honda Certified. We have the skills, equipment, and experience to perform all of your motor oil service and repairs. At our Honda dealership near Port St. Lucie and Fort Pierce, it is our goal to help reduce the price of maintaining your Honda. One of the ways we strive to make routine maintenance affordable is by regularly offering service deals and coupons right here on our website. When you schedule your oil change, our crew will let you know about any service specials or parts deals we are currently offering. When it comes to Vero Beach car dealers, know that at Vatland Honda, you are getting competitive rates on your next oil change. At Vatland Honda, the ASE Certified and Honda Certified service technicians use Honda manufactured parts and accessories when performing your oil service. The same applies to all the repairs we perform at our Honda dealership including brake inspection, battery tests, tire rotation, and wiper repair. To be Honda certified means our work meets Honda’s strict standards for safety, quality, and reliability. Our dealership name has Honda in the title, but we are fully equipped to service most of the vehicle makes and models currently driving around our Vero Beach, FL, roads. Bring your car over from Port St. Lucie to Fort Pierce regardless of manufacturer, and we’ll set you up with the brand and weight of oil your car requires. 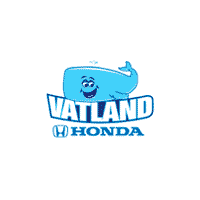 Vatland Honda in Vero Beach is your store. Schedule your Honda service online and come to our Honda dealership. When you are here, we invite you to enjoy the many amenities we offer to create a pleasant experience for our customers. When you’re hunting for used cars in Vero Beach, you need to ensure that you’re going to keep these used cars running with proper lubrication! Browse our cars for sale and our oil change services. Let our Honda dealership help ensure that your vehicle continues to provide you with the smooth ride you depend on every day. Visit us today at Vatland Honda to receive the service you’re looking for and the oil change you need near Port St Lucie and Fort Pierce, FL.